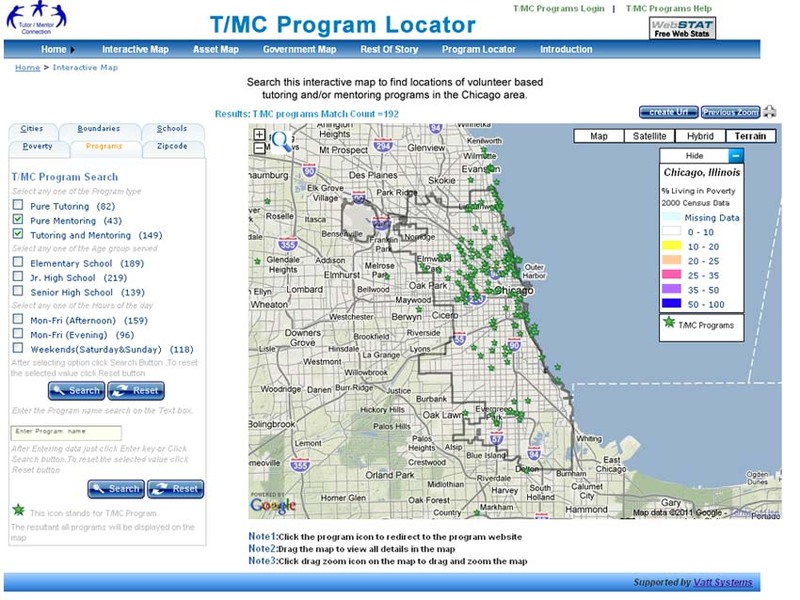 Since 1993 the Tutor/Mentor Connection has been collecting information about volunteer-based tutor/mentor programs in Chicago and its suburbs. Our initial aim is to know what organizations provide these services, who they serve, what age group, what type of tutoring and/or mentoring and where they are located. 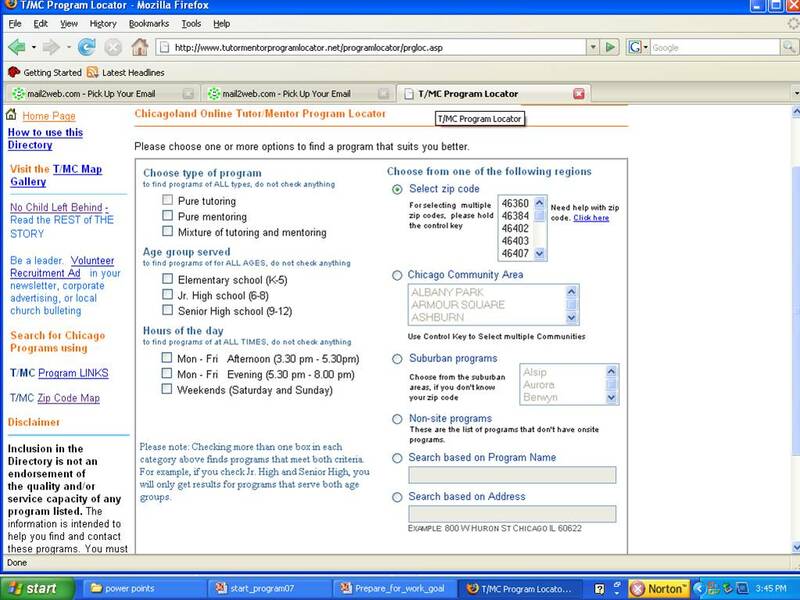 In 2004 we created an interactive portal that people can use to search our database. This graphic shows what it looks like. 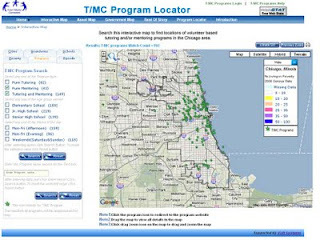 In 2008 we created an interactive map that would show where these programs are in the region, and show where they are most needed based on high poverty or poorly performing schools. The map below was created using this feature. Now we're trying to find sponsors and partners who will help us maintain this service and keep it free to users. With help we can upgrade the technology, provide more training, build greater awareness and more use and make this service available to other cities. If you can help join the GIS planning group on the Tutor/Mentor Connection forum. Interactive World Map - nice! We're always inspired to see how others are creating maps to help build better understanding. This map web site is one that I encourage you to browse.